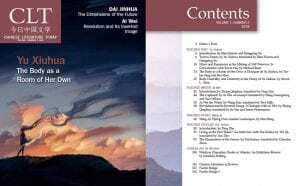 From Jan 14 to Jan 31, 2019, readers can view and download the full contents of Chinese Literature Today 7(2) via Taylor&Francis’s CLTwebsite (https://www.tandfonline.com/toc/uclt20/current). 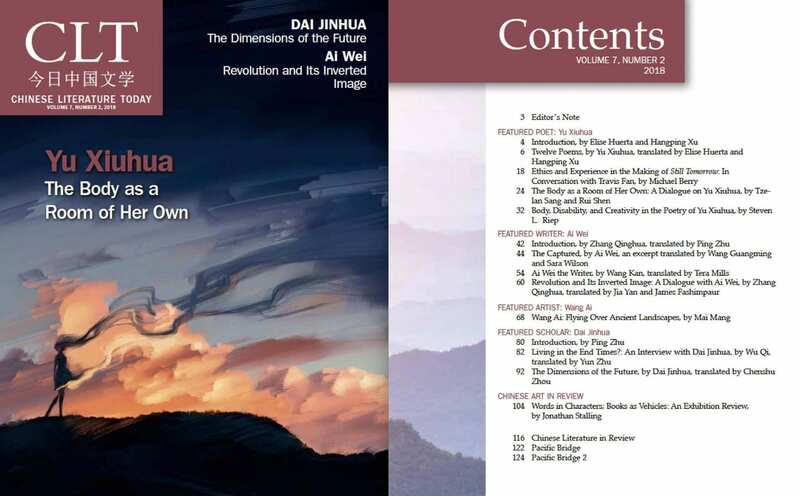 This current issue features poet Yu Xiuhua 余秀华, writer Ai Wei 艾伟, and scholar Dai Jinhua 戴锦华. Please take advantage of this promotion period. After Jan 31, you will have to subscribe to have access to the full contents of this issue on the T&F website.